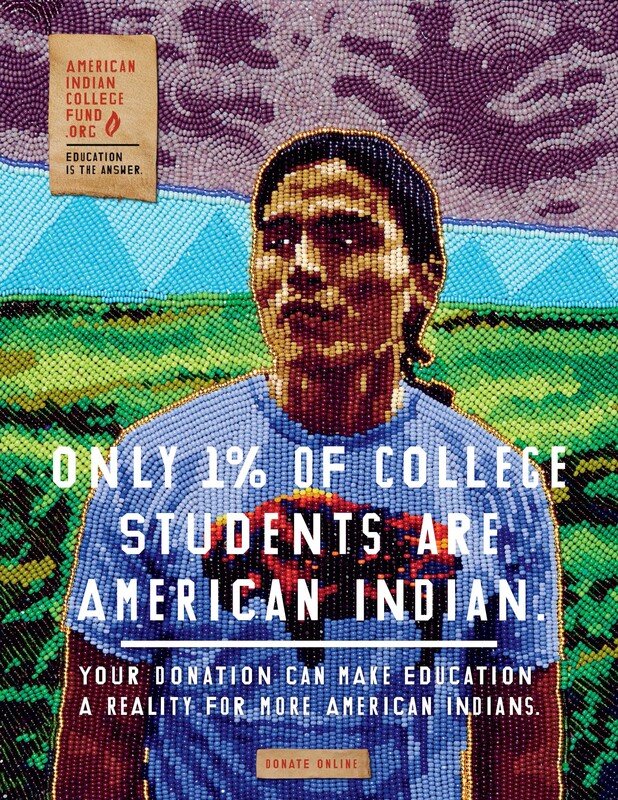 At the center of the American Indian College Fund’s new campaign is a staggering statistic—less than 1 percent of college students are American Indian. The College Fund joined forces with longtime partner, Portland-based advertising agency Wieden+Kennedy, to create a public service announcement to increase enrollment. The campaign debuted a 30-second animated television spot from director Chel White and Bent Imagine Lab. 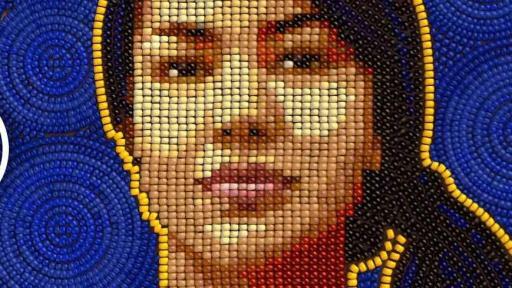 Inspired by Native beadwork, the film uses stop-motion and computer-generated rendering of beads in motion. Music was provided by rock artist Neil Young. Amerman created American Indian student portraits for the print campaign. Each portrait features more than 18,000 tiny beads hand-stitched by the artist. 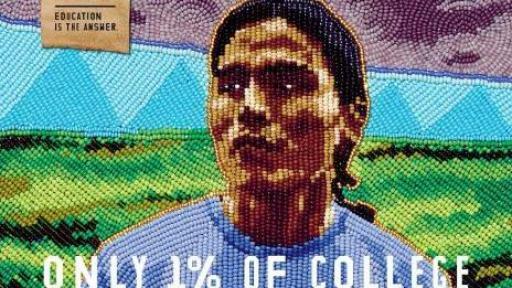 The beadwork in the television, print, and digital campaign works to raise awareness for the College Fund. 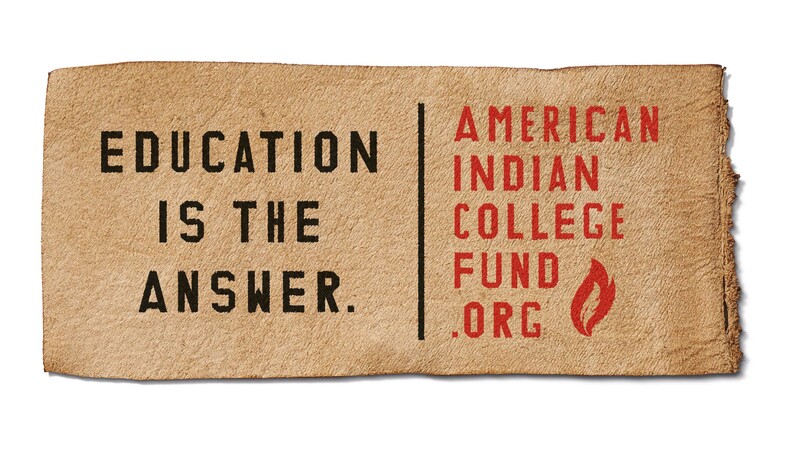 The campaign includes the new tagline “Education is the answer” to inspire people to help American Indian college students get a college education. 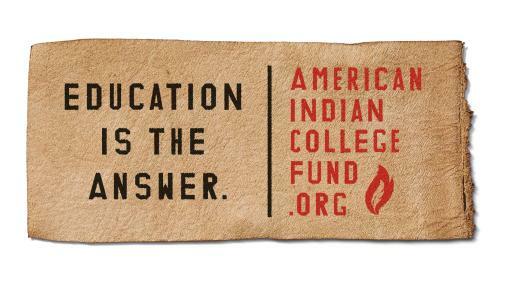 Wieden+Kennedy has supported the College Fund for more than 20 years, lending its cutting-edge-creativity to generate awareness about the importance of education for health and prosperity for American Indians, their families, and communities.